My sister asked me to knit her some boot cuffs to sport with her boots this fall/winter season. I giggled as I searched for some ideas and potential pattern options for said cuffs. And I figured this cuff would look pretty cool. Silly concept but still fun. Material: I used Lion Brand Cotton Ease yarn. I LOVE cotton yarn. 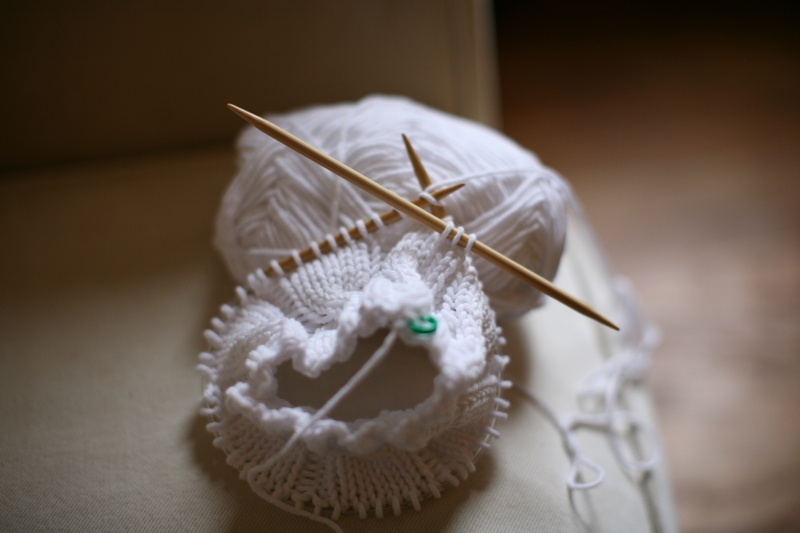 Cast on 48 (small), 56 (medium) or 64 (large) and join placing stitch marker. Work (k2, p2) rib pattern for 4 rows. Then work the following pattern. Repeat this pattern 3 times. Then bind off & weave in ends. Make 2. C6F Pattern: What is it? 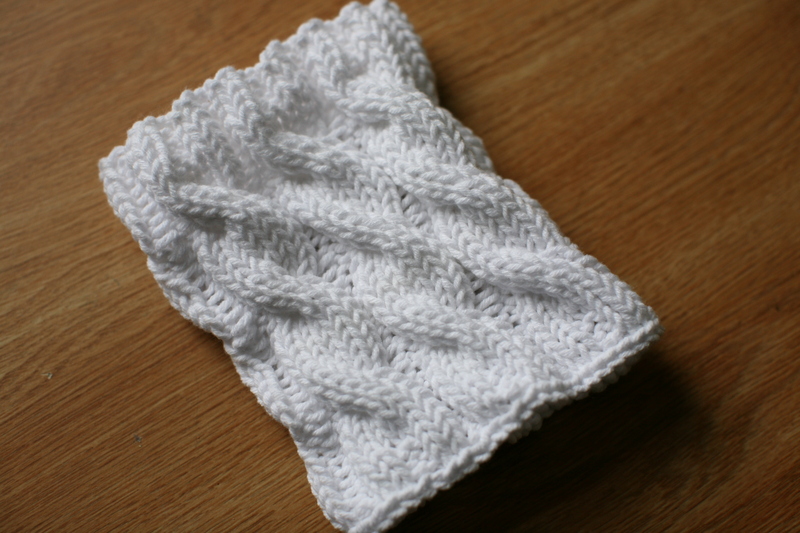 A left twisting cable stitch using, you guessed it, 6 stitches. Super duper easy and so so pretty. Begin by slipping 3 stitches to the cable needle and bring the cable needle with its 3 stitches towards you. Move the needle to the front of the work for C6F (see image above). Let the needle just chill there, you don’t need to hold it. 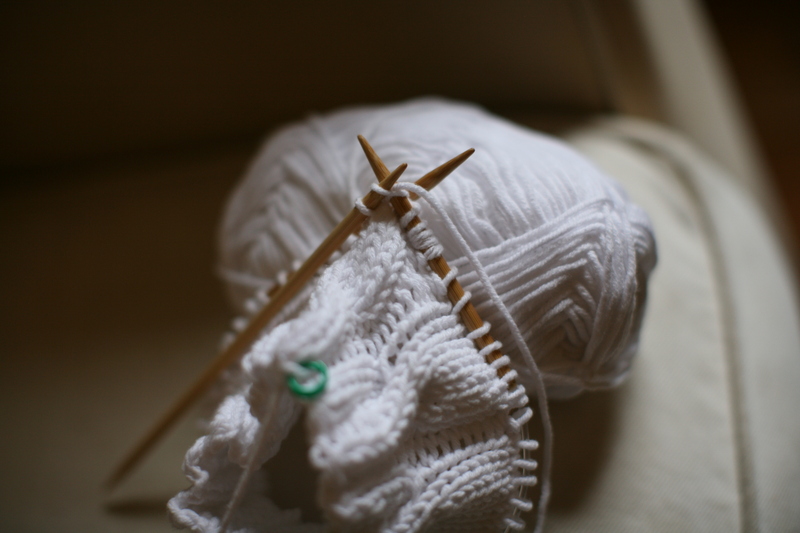 Knit the next 3 stitches from the left-hand needle. Slide your stitches on your circular needle over so you don’t lose them! Yikes! 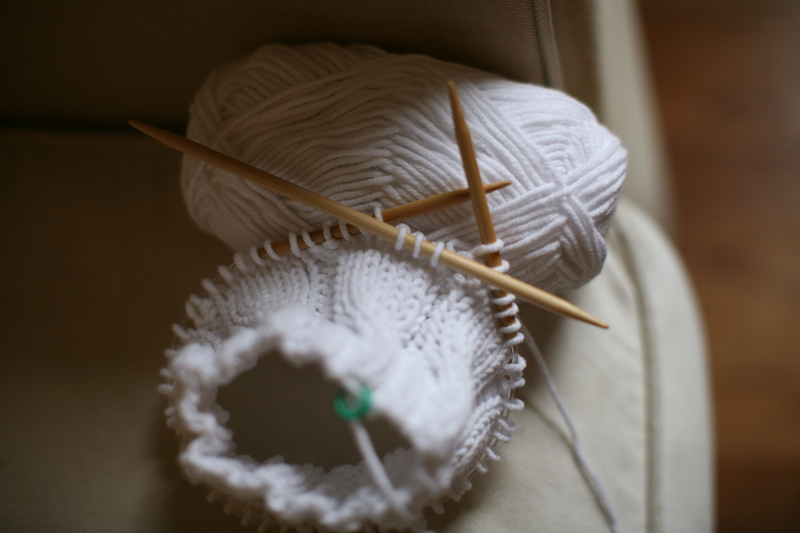 Pick up the cable needle with your left hand, and without twisting it, knit the 3 stitches from the cable needle. 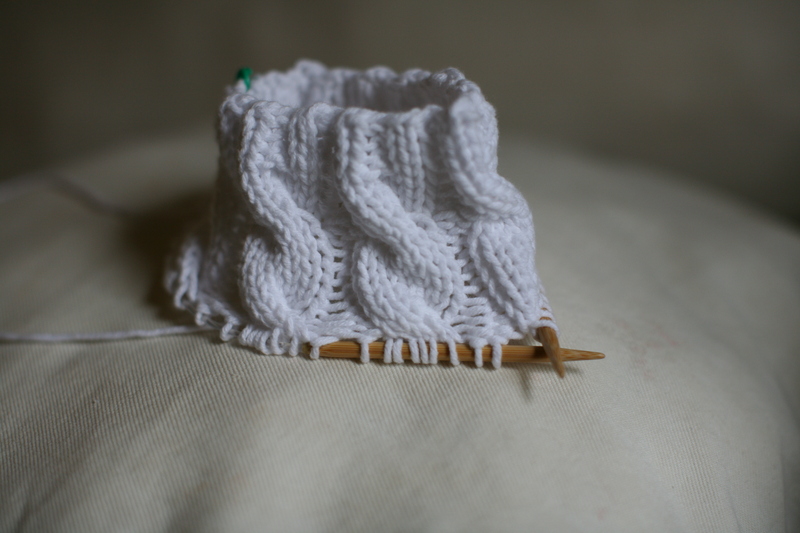 Put down the cable needle, pick up the left-hand circular needle and knit remaining pattern. Yup, that’s it! Pretty sweet huh? Hope you love them! I know my sister will!!! !